Eviscerated whole pig. 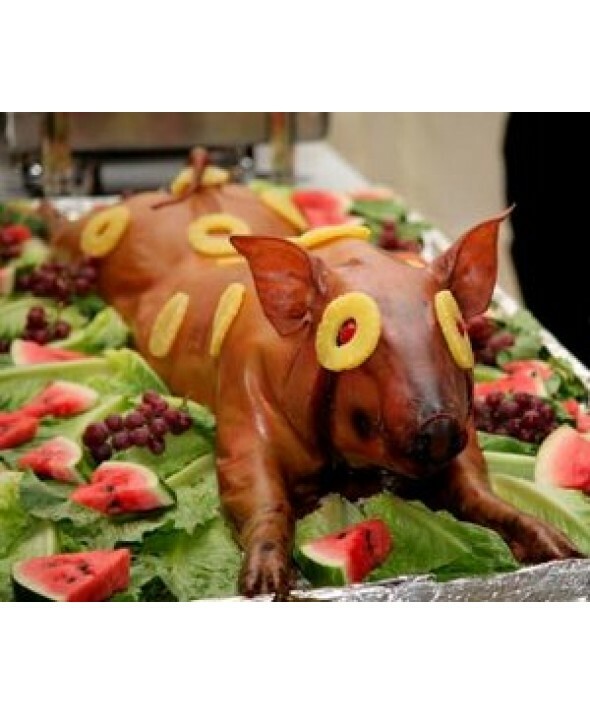 Clean pig thoroughly and sprinkle inside with salt and pepper as well as basil. Rub the skin with oil, salt and basil. 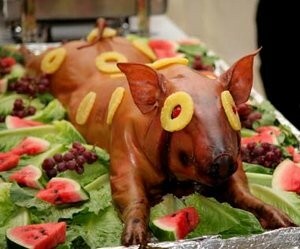 Arrange the pig on the pit so that it is balanced and roast for 2 to 2 1/2 hours, basting often.